Congratulations for being featured in Why we like picking up our Cameras. None of my dogs are that talented. Great shot by keeping the eyes and nose in focus. 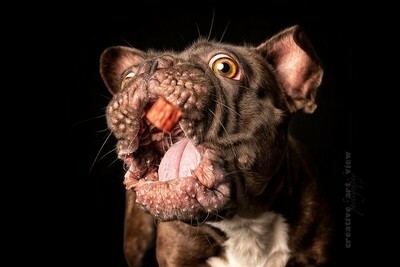 Cute french bulldog catch the treat.